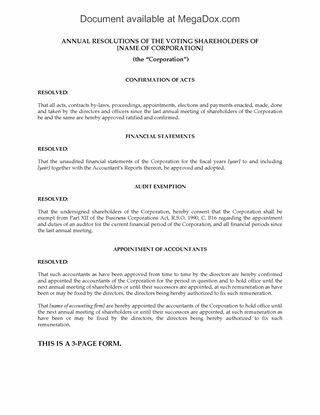 Corporate resolutions to remove a director and appoint a replacement. Corporate resolutions to accept the resignation of a director and appoint a replacement. Consent to Act form, to be signed by the incoming director. Resignation form, to be signed by the outgoing director. This package of Ontario corporate documents makes it easy to prepare everything you need for appointing, removing and replacing directors, all contained in one downloadable file. 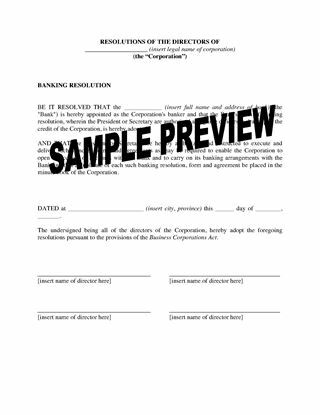 Prepare for an annual shareholder meeting of an Ontario business corporation with this package of forms. 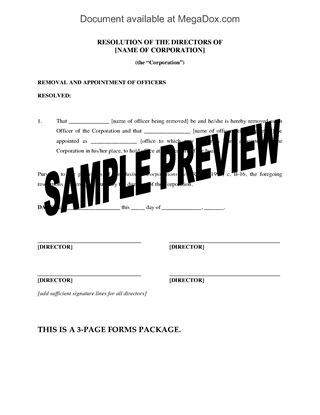 Declaration of Mailing Notice, to be completed by the corporate secretary or other officer who mailed the documents. 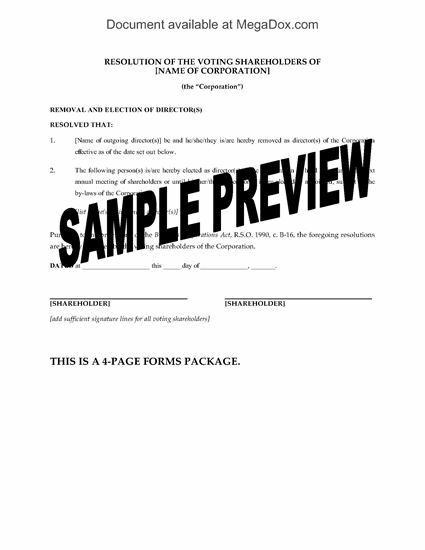 This Ontario Annual Shareholder Meeting Package is available in MS Word format.